Councilman Homer Jasso Jr. sits at left during the inquiry Wednesday, March 7, 2018, held by the Edinburg City Council into his doing business with the city, at City Hall in Edinburg. 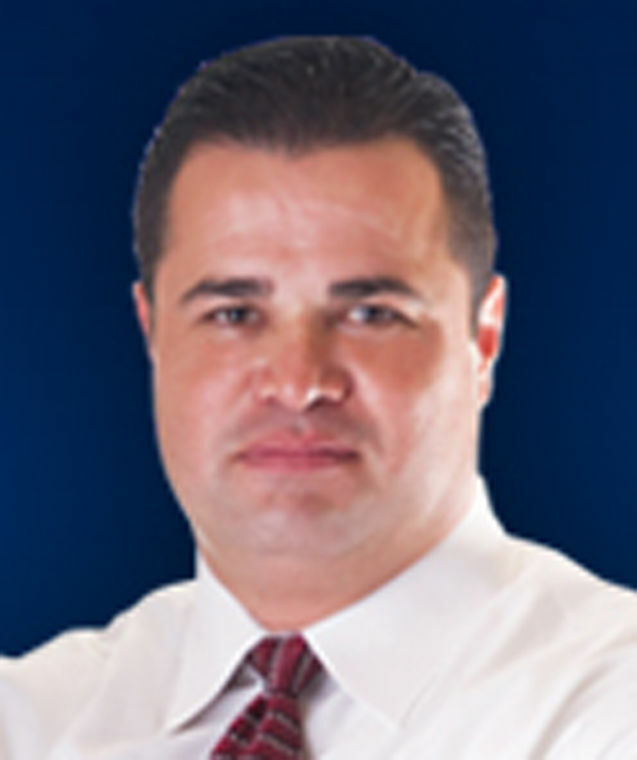 EDINBURG — Homer Jasso Jr. is eagerly awaiting his day in court after his peers on the city council here found him guilty of violating the city charter during an inquiry against him Wednesday afternoon. 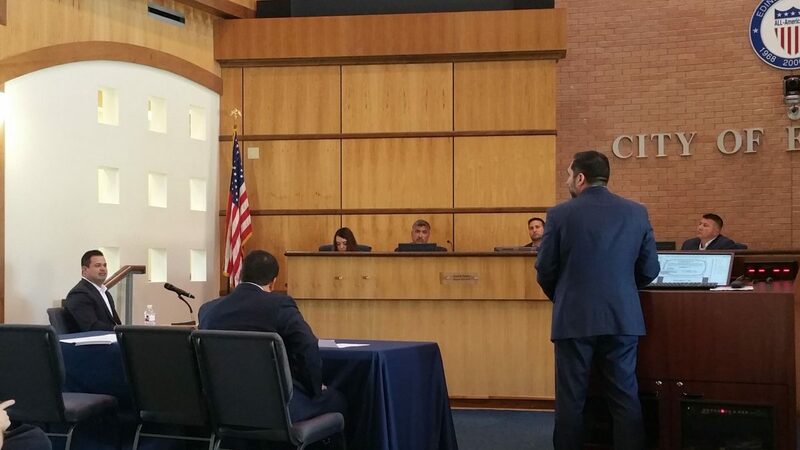 The two-hour inquiry mimicked a court hearing, with Edinburg Mayor Richard Molina serving as the arbiter and the rest of the council as the jury. Jasso is accused of “willfully” violating the city charter by engaging in business with the city through a tire recycling business he once partially owned. The city charter prohibits such action and indicates it could lead to the forfeiture of his seat. Jasso — who testified under oath but was not cross-examined — said Wednesday he no longer had a stake in the company and indicated he had not received compensation when he parted ways with the firm. His attorney, David Flores, and the city’s attorney, Ricardo Gonzalez, took turns cross-examining three witnesses: Richard Hinojosa, city manager; Ramiro L. Gomez, director of solid waste management; and Ascencion Alonzo, director of finance. Each spoke about their knowledge of the events in question, including when they became aware Jasso owned Santa Anita Recycling LLC. Some of the testimony appeared contradictory as they each tried to establish a timeline. Ultimately, though, all parties said they did not believe Jasso had acted inappropriately. The council and new city attorney, however, did not agree. One by one, they each said they found Jasso guilty of the violation. Gonzalez said Jasso’s ignorance of the provision did not excuse his actions. Wednesday’s decision will ultimately be reviewed by state District Judge Mario Ramirez, who granted an order prohibiting the council from removing Jasso from office until after a judicial review. “We look forward to our opportunity to be heard in court, and once we have people with the legal knowledge of what (these) statutes and these charters really mean, I think we’ll get the result that we’re looking for,” Jasso’s attorney said.